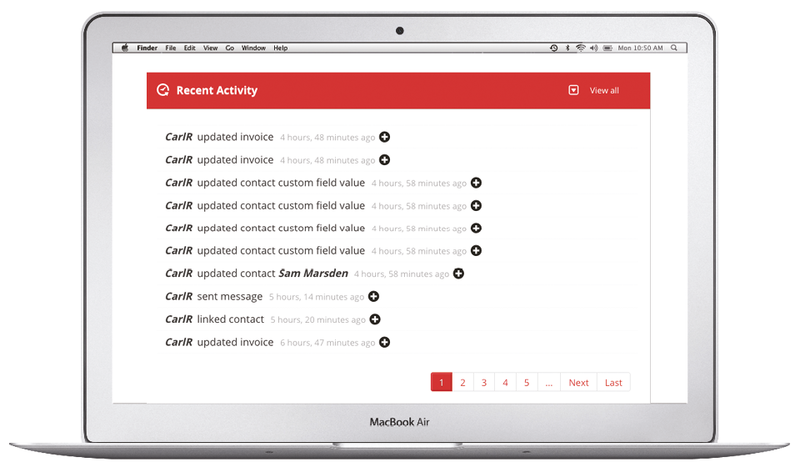 You may not think about tracking activity until it’s too late, that’s when information gets changed by mistake or details get lost.4CRM automatically tracks every activity made on your account by every single User. You can search for a particular entry and can narrow your search results by selecting a specific date range, user or activity section. 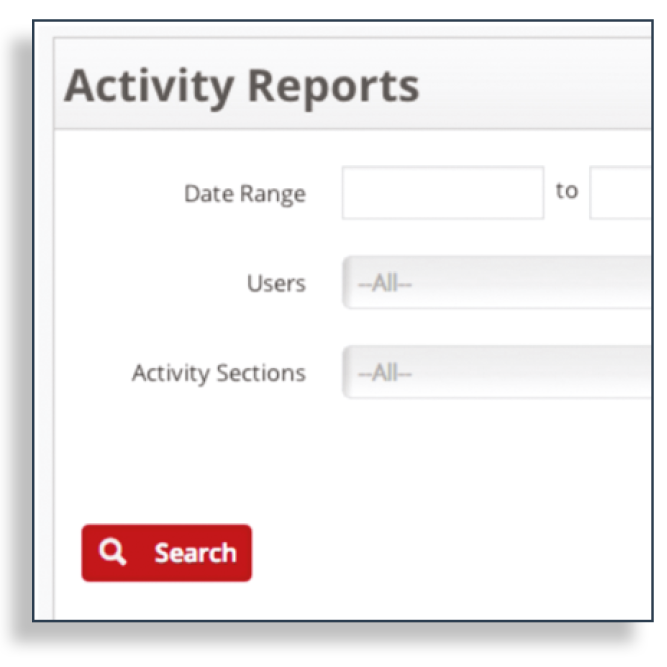 A dashboard version of the main Activity Log, giving you full information about all changes made to a specific Business or Contact Record. 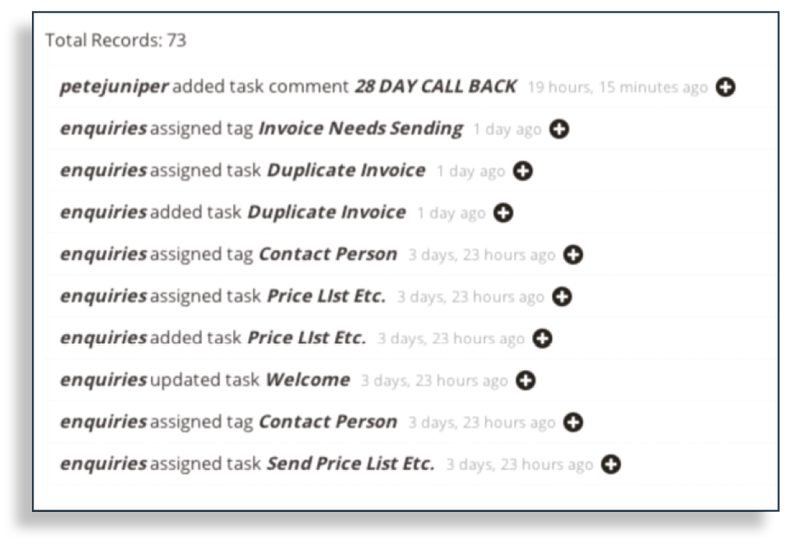 This can be found at the bottom of each Business and Contact dashboard.